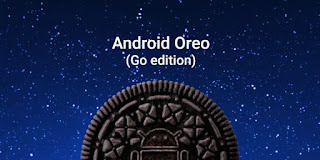 Google has launched Android Oreo (Go edition) with Android 8.1 release.Android Oreo devices with 512MB to 1GB of memory will come with the all the Go optimizations. Android Oreo (Go edition) for speed and reliability on entry-level devices, which means the average app is now 15 percent faster on devices running Android Oreo (Go edition). There are many of these kinds of optimizations—and they really add up. If all entry-level Android devices launched apps 15 percent faster, that would save the world a cumulative one million hours of time—every day! It’s common for entry-level devices to have very little storage space available once you account for the size of the OS and the preinstalled apps. This can be frustrating for people who want more space for their music, apps, and photos. So, we’ve optimized Android Oreo (Go edition) and enhanced our preinstalled Google apps to take up 50 percent less space. The net result is that we’ve doubled the amount of available storage on entry-level devices. Devices running Android Oreo (Go edition) also come with Google’s data saver features turned on by default. For example, Data Saver in Chrome saves the average user more than 600MB of data per year. You can also manage which apps can use background data with our built-in data saver feature, giving you more control over how your data is used. Android Oreo is the most secure version of Android yet, so when you buy an Android Oreo (Go edition) device, you’ll be getting all the same security features. And of course, all devices with Android Oreo (Go edition) get Google Play Protect built-in. Google Play Protect continuously works to keep your device, data, and apps safe. It scans your app installs, even when you’re offline, no matter where you downloaded them from. Preinstalled on Android Oreo (Go edition) devices, this set of optimized apps includes Google Go, Google Assistant Go, YouTube Go, Google Maps Go, Gmail Go, Gboard, Google Play, Chrome, and the new Files Go app by Google. Google Go—a new app to find the information you want—optimizes data by up to 40 percent, weighs less than 5MB in size, and makes it faster to find popular and trending information with a simple, tappable interface. And with the Google Assistant for Android (Go edition), you can quickly send messages, make calls, set alarms, and more with your voice and a single touch of the screen. 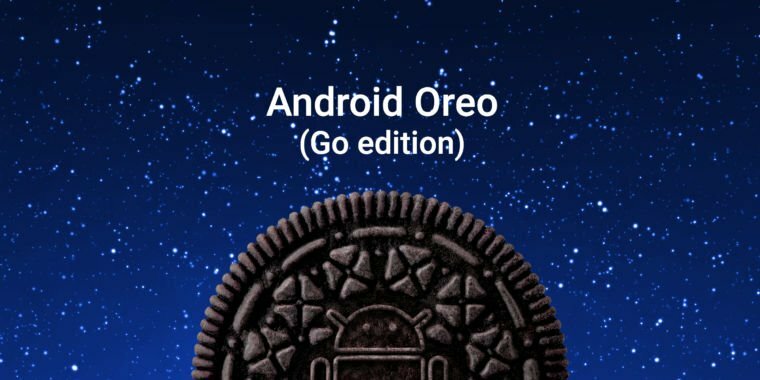 With the launch of Android Oreo (Go edition) in Android 8.1, partners will soon be able to ship this new release on their entry-level devices around the world. devices to hit shelves in the coming months.